The duo, who met while working on "Saturday Night Live" in 1995, announced the break-up on Saturday and insisted that it's amicable. 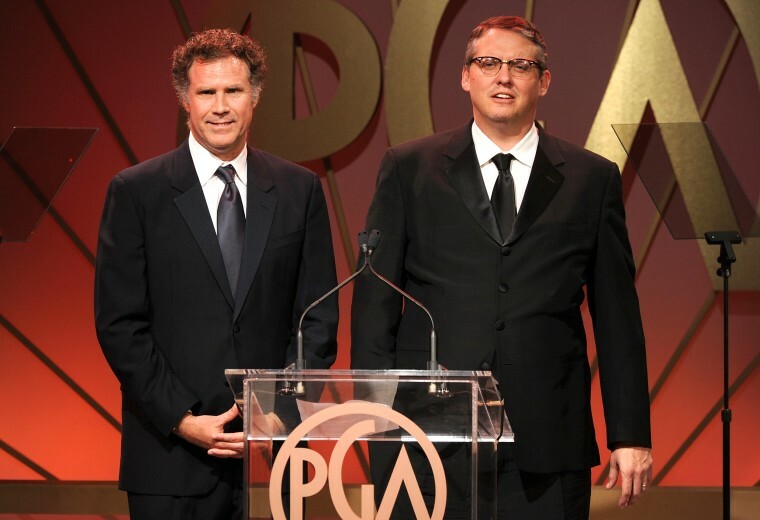 LOS ANGELES - Longtime producing partners Will Ferrell and Adam McKay are splitting up after more than a decade together. The duo announced the break-up on Saturday and insisted that it's amicable. Projects produced under their Gary Sanchez banner include "Vice," "Step Brothers," "Talladega Nights" and the Anchorman and Daddy's Home movies. In 2014, Jessica Elbaum founded the Gloria Sanchez production company as a sister label of Gary Sanchez Productions with a focus on female voices in comedy. "The last 13 years could not have been more enjoyable and satisfying for the two of us at Sanchez Productions," Ferrell and McKay said in a joint statement. "We give massive thanks to our incredible staff and executives and all the writers, directors and actors we worked with through the years. The two of us will always work together creatively and always be friends. And we recognize we are lucky as hell to end this venture as such." The announcement said Gary Sanchez Productions and Gloria Sanchez Productions will continue with all existing projects through completion and that all current projects will continue to be developed by the attached producers. "The duo is committed to working together creatively on their extensive slate of shared projects," it added. "They will to continue to support each other both personally and professionally as they explore new endeavors as well as their own individual projects. Moving forward, any future projects they may partner on will go through their yet to be announced new ventures." Ferrell and McKay jointly signed a three-year first look deal at Paramount in September 2018. Gloria Sanchez is producing the strip-club drama "Hustlers" for STX. McKay and Ferrell are producing Netflix comedy "Eurovision," with Ferrell starring. McKay has received five Oscar nominations including best picture, best director and best original screenplay for "Vice" and best director and best adapted screenplay for "The Big Short." He and Charles Randolph won the Oscar for "The Big Short" script. Ferrell most recently starred in Sony's "Holmes & Watson" and has been in production as a star on "Downhill," Fox Searchlight's remake of the 2014 Swedish film "Force Majeure." Ferrell and McKay met while working on "Saturday Night Live" in 1995. The news was first reported by Deadline Hollywood.